The Balearic Islands are one of the most popular holiday destinations in Europe and despite seeing the highest peak in visitors within the summer months, there is in fact plenty to see and do all year round. Although those who are looking for a luxury beach holiday will need to visit between May and October, there are plenty of other activities and sights to discover and our top pick is the island of Mallorca. The Mediterranean climate means that temperatures during the winter months are usually mild and remain in double figures. In fact for those who are looking to explore Mallorca’s cultural and historic sights, the winter season is perfect as there are a relatively low number of tourists. The city of Palma is a popular choice for city and short breaks with an abundance of shops, restaurants, museums and galleries. The Es Baluard museum is located in Palma de Mallorca and opened just under a decade ago and has become a favourite ever since. With a collection of works from over 500 modern and contemporary artists linked to the island. Part of the old building is a 16th century bastion which is joined harmoniously to the new 21st century modern building. Of course a must is to also visit the city’s landmark, Palma Cathedral (also known as La Seu). Marvel at its Catalan Gothic architecture, interior and stunning views across the Mediterranean Sea. For winter stays many of the hotels in Palma provide a perfect base for luxury Mallorca breaks. 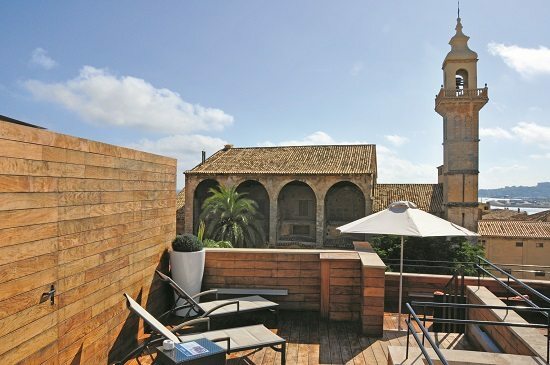 The four-star Santa Clara Urban Hotel & Spa is a contemporary hotel located in the historic old town of Palma. 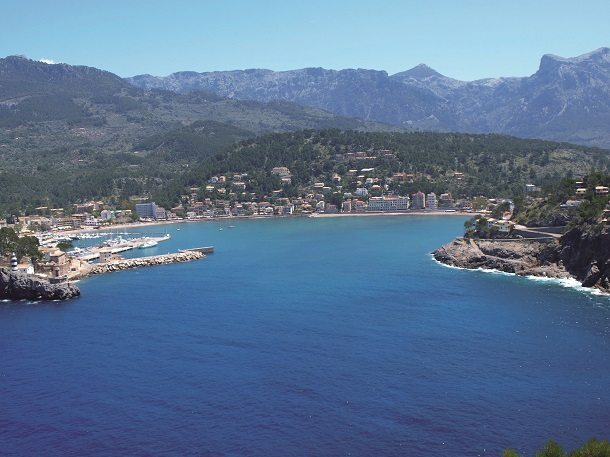 For those looking to explore the beautiful Mallorca countryside then the early winter months and spring are perfect for leisurely hikes on the quiet paths of the Tramuntana Mountain range. I would recommend hiking near the popular rural town of Sóller. The town is accessible by car however, the vintage train ride from Palma is sure to delight. If you are looking for something a bit different to do on your Mallorca holiday then I would recommend visiting one of the island’s fascinating caves. Visit an underground world of lakes and stalagmites at Cuevas Del Drach near Porto Cristo or Caves d’Arta on the east of the island. For those with a love for city-breaks why not stop off at Mallorca’s second city and industrial heart, Manacor. 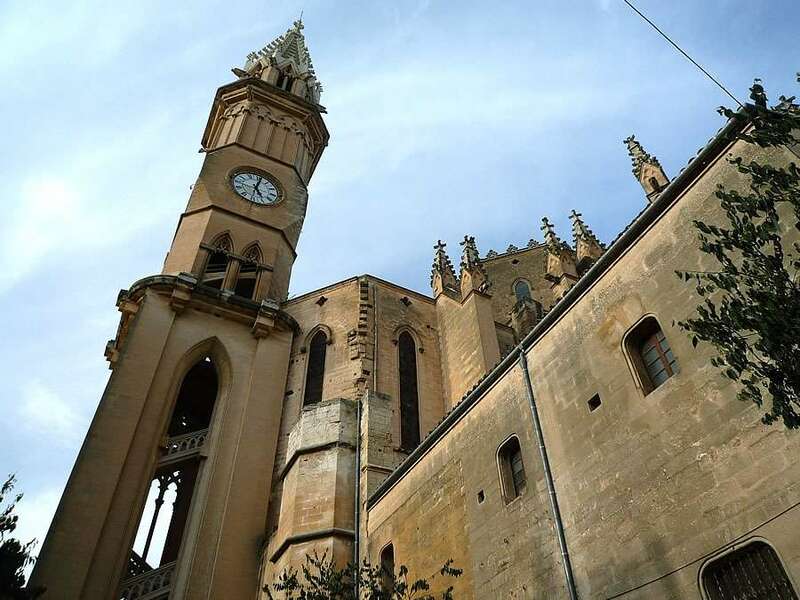 The narrow streets are perfect for ambling around, visit Manacor church or the famous pearl factory. Although Perlas Majorca are not actually true pearls but artificially made out of fish scales! If you’re lucky, you might also spot a native local celebrity walking around, as the city is the birthplace of tennis player Rafael Nadal who still lives in the city when not competing. With so many things to do and enjoy in Mallorca in the both the summer and winter months it is perfect for a short European break. For those travelling during the summer season the wonderful four-star Es Moli, perfectly situated on a hillside opposite the village of Deya, is ideal for those wanting to enjoy the best of Mallorca. With beautiful views of the countryside and down the valley to the sea, guests can amble around the hills or visit the nearby Muleta Cove reached by the hotel’s complimentary shuttle bus service. For those wishing to explore further afield I would recommend hiring a car for your trip. Where would you recommend for winter European breaks? Talk to us on Facebook. For more activities visit our post top 7 things to do in Mallorca.